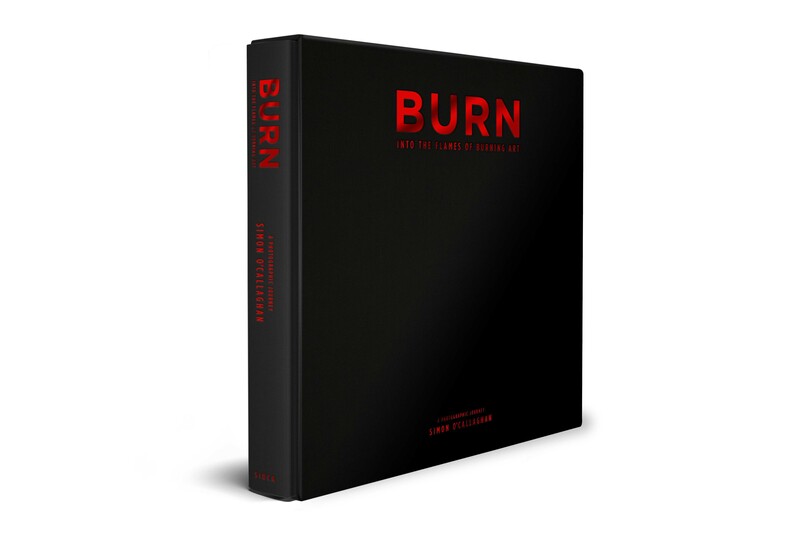 Three editions have been designed and printed, a standard softcover, a Collectors hardback edition in slipcase with 3 limited C-Type photographic prints and a luxuroius Deluxe linen hand bound hardback edition in slipcase with 5 C-Type photographic prints, along with a cast bronze sculpture by Egon Tania that will encompass the book. The edition plate for the collectors edition is signed by a mix of 6 founders, directors or artists from the following list, while the deluxe edition plate is signed by all fourteen, and both editions are signed by Simon O’Callaghan. The list is representative of close friends and in no way is a complete list of founders, directors and artists. 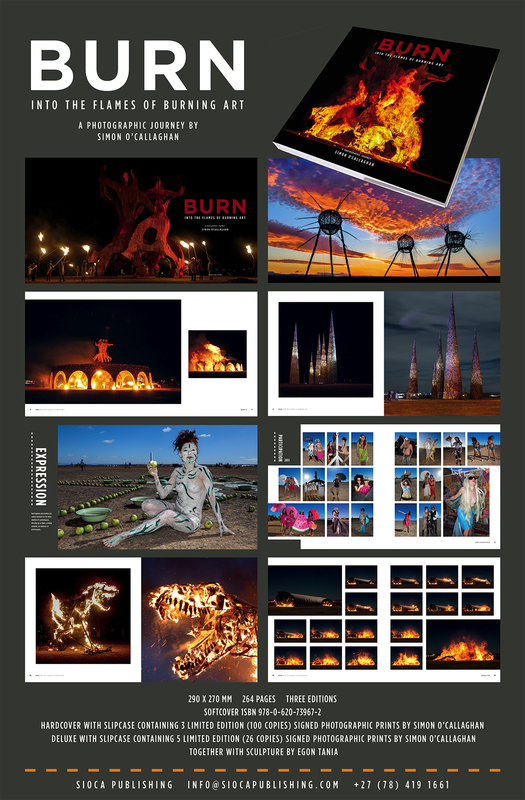 Its official, I have completed a coffee table style book of my images from the last 7 years of AfrikaBurn but also including a chapter on the Vlam project to Burning Man in 2013. I have an advance copy in my hands and the rest are already onboard a ship destined for Cape Town, arriving in May. 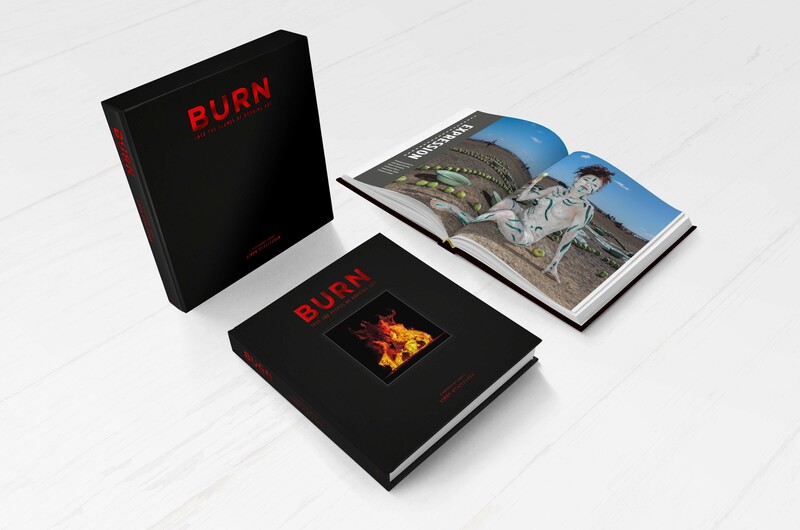 This is a personal journey and far from an official history, although many artworks, burns, friends and strangers appear within 264 pages containing over 600 images. The book is available for pre-launch purchase on the sioca publishing website siocapublishing.com I will advise on the official launch shortly which will be accompanied by a fine art exhibition. I have also launched a FB Sioca Publishing page for regular info and updates. Many thanks to all who helped and appear in the pages of this my first book.